Rhode Island reclaimed its No. 1 spot in the boys' Championship Hammer on Saturday at the New Balance Nationals. 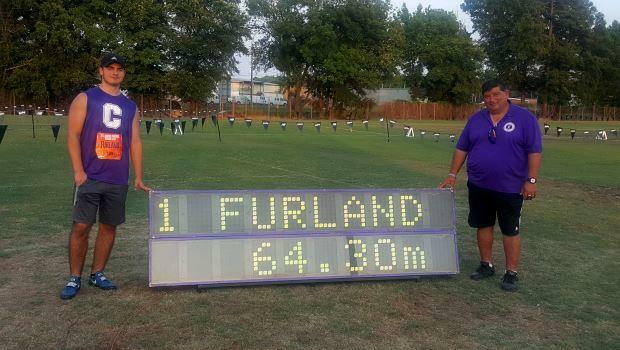 Classical High junior Jacob Furland captured his first national title with a winning toss of 210 feet, 11 inches. Furland's crown is the third time in the last four years that the Ocean State has earned gold in this event. Former Barrington standouts Adam Kelly and Bobby Colantonio won back-to-back titles for the Eagles by winning in 2015 and 2016, respectively. La Salle's Cameron Croce (third, 208-9) and Woonsocket's Logan Coles (fifth, 203-4) also earned All-American status by finishing among the first six finishers. Bishop Hendricken's Ryan Morel (seventh, 199-7), Lincoln's Michael Balestra (tenth, 193-8), and Cumberland's Mark Coppolino (11th, 191-11) also had solid placements. Classical's Georgina Farley finished second in the Emerging Elite Hammer with a toss of 143-4. Woonsocket's Gabriela Ribeiro was third (138-11) and Classical's Ambar Nunez-Gomez finished fifth (137-9). Randi Burr of Westerly placed 15th overall in the 2,000-meter steeplechase with a time of 7:10.65. Freshman Ian Hall of Rogers was 17th overall in the Championship Javelin with a toss of 179-1. After five events, East Greenwich's Connor Sheridan is in tenth place in the Decathlon with 3,273 points. Sheridan scored his most points (703) in the 400m dash where he was timed in 52.49. 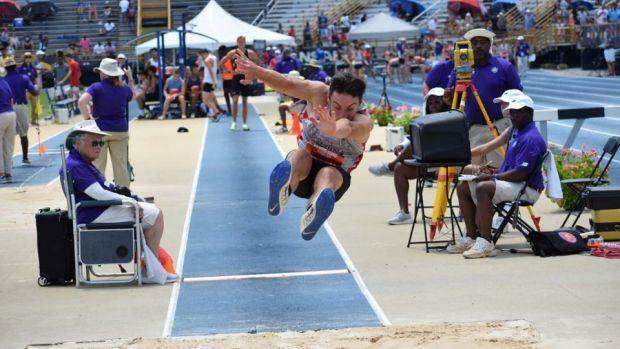 He also cleared 5-9.25 in the high jump (593 points), tossed the shot a distance of 41-10 (652 points), leaped 20-3.25 in the long jump (626 points) and ran 11.76 for 100m (699 points).